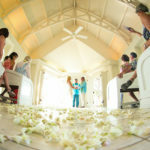 An intimate wedding at the Kona Sheraton Resort on the Big Island of Hawaii. 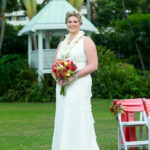 This couple was married on the lawn overlooking the beautiful Pacific Ocean. It was during the winter months which means we sometimes have big waves that will hit the cliff sides and make for some really dramatic images.